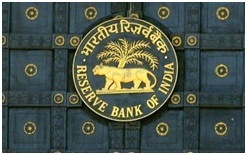 After a series of relaxations in the external commercial borrowings (ECB) norms, RBI announced a cap of 6.5 per cent of GDP at current market prices giving lot more headroom for raising money overseas. last month central bank reduced mandatory hedging provision to 70 per cent from 100 per cent for loans with maturities between three and five years. Infosys announced that its Board of Directors has appointed Bharti Airtel Ltd’s global CFO Nilanjan Roy as the chief financial officer (CFO) of the company, effective March 1, 2019. ISRO’s Vikram Sarabhai Space Centre (VSSC) has completed the design for the Small Satellite Launch Vehicle (SSLV), the ‘baby rocket’ billed as the quickest way to space for small-size satellites. Three Indian-origin students have been named among the 25 most influential teens of 2018 by Time magazine for making a mark across numerous fields. Indian-American Kavya Kopparapu, Rishab Jain, and British-Indian Amika George are among the group who have become inspirations for youngsters across the world due to their spectacular achievements through their work and passion. Ministry of Environment, Forest and Climate Change launched the ‘Asiatic Lion Conservation Project’ with an aim to protect and conserve the population of Asiatic Lion. The minister said the total budget of the project for the next three years will be funded through a centrally sponsored scheme, the Development of Wildlife Habitat, with the contributing ratio of 60:40 for central and state share. The Karnataka State Cabinet approved a grant of 8,037.87 crore for the development works in the city under the Chief Minister’s Nava Bengaluru Scheme.